Arbor Day is an annual holiday encouraging people to plant and care for trees. It was initiated by Julius Sterling Morton, President Grover Cleveland’s Secretary of Agriculture in 1872. Arbor Day is an annual holiday encouraging people to plant and care for trees. It was initiated by Julius Sterling Morton, President Grover Cleveland’s Secretary of Agriculture in 1872. In 1970, US President Nixon declared the last friday in April as Arbor Day. 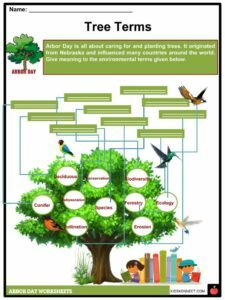 See the fact file below for more information on Arbor Day or alternatively, you can download our 21 page Arbor Day worksheet pack to utilise within the classroom or home environment. In the 1870s, journalist Julius Sterling Morton and his wife moved to Nebraska. They bought acres of plain land and planted several trees and shrubs. Morton also became the editor of Nebraska City News. As a new resident, he shared his knowledge about trees and their importance in the community using the newspaper. Soon, he became part of Nebraska Board of Agriculture. On January 7, 1872, Morton proposed to the board a day that Nebraskans would plant trees in their vicinity. Initially, they wanted to call it Sylvan Day, but Morton argued that the day should reflect people’s appreciation of trees in general. On April 10, 1874, with much enthusiasm, Arbor Day was first celebrated in Nebraska. Morton led the planting of approximately 1 million trees. In addition to their motivation, Nebraskans who planted correctly received prizes. In a span of 10 years, Arbor Day became a tradition of planting trees. 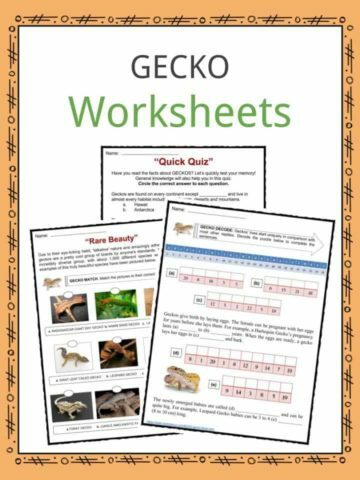 Schools across the United States began to participate. By 1885, Arbor Day officially became a state holiday in Nebraska and April 22nd, Morton’s birthday as the date of its observance. After two decades, Arbor Day was observed in all states except Delaware. 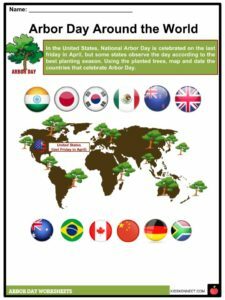 By 1883, Morton’s fellow agriculturist Birdsey Northrop introduced Arbor Day in Japan and continued to influence parts of Europe, Australia, and Canada. In the 1970s, during President Nixon’s administration, Arbor Day was recognized nationwide. Moreover, Nixon encouraged the passage of environmentally-friendly bills including the Clean Air Act, Clean Water Act, Endangered Species Act, and the establishment of the Environmental Protection Agency. 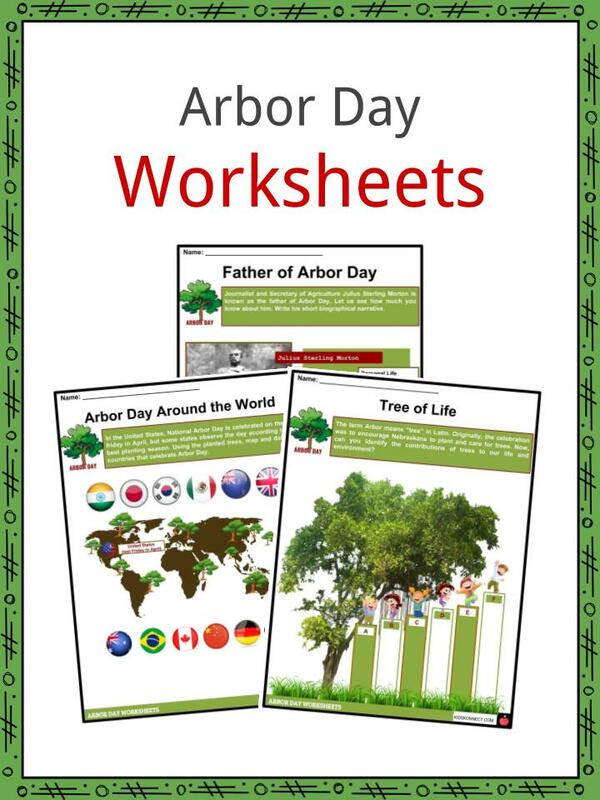 Today, Arbor Day is commonly celebrated in the United States every last friday in April. In some parts of the world, the day is commemorated during the best tree planting weather. J. 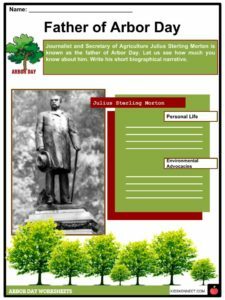 Sterling Morton, the Father of Arbor Day has a statue in the National Hall of Fame in Washington, D.C in honor of his environmental contributions. Today, schools in the United States celebrate the day by having students plant a tree which can be dedicated to a loved one. In Hawaii, Arbor Day is celebrated on the first Friday of November, while in Alaska, the third Monday in May is the best tree planting season. In addition, Canada observes Arbor Day on the last Wednesday in September coinciding Maple Leaf Day and National Forest Week. In 2004, the National Arbor Day Foundation held a vote for America’s favorite tree and with 101,000 votes, the mighty oak won. Today, the oak is America’s national tree. 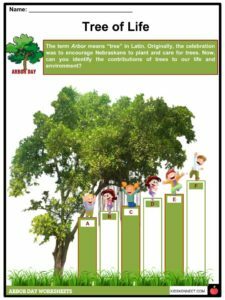 Aside from planting trees, Arbor Day also promotes conservation of rainforests, recycling programs, and the proliferation of the importance of trees. 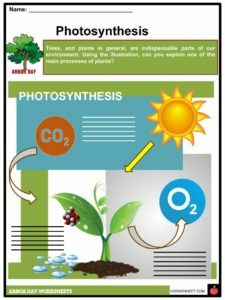 Trees are important to us because they turn carbon dioxide into oxygen. The most poisonous tree in the world is the manchineel tree which can cause blisters and toxic fruits. In 1981, Chinese people over age 11 were required to plant three trees per year. As of 2017, there are over 60,000 known tree species. 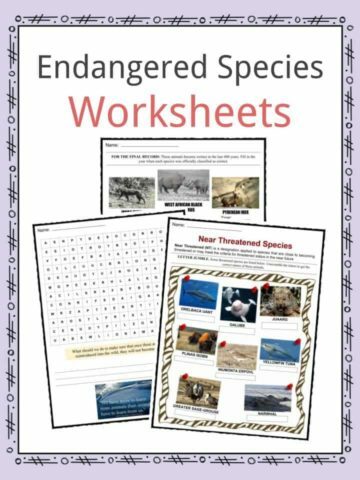 Most of the endemic tree species can be found in Brazil, Colombia, and Indonesia. 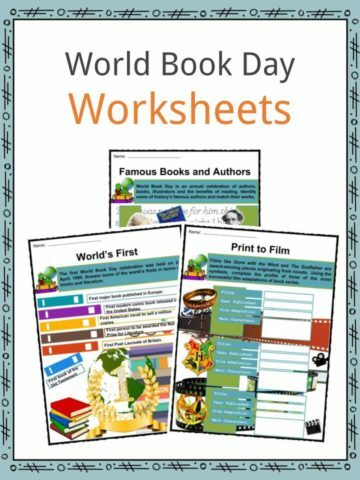 This is a fantastic bundle which includes everything you need to know about Arbor Day across 21 in-depth pages. 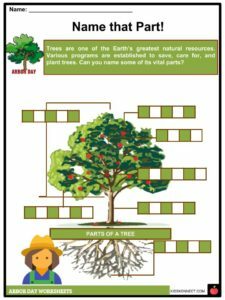 These are ready-to-use Arbor Day worksheets that are perfect for teaching students about the Arbor Day which is an annual holiday encouraging people to plant and care for trees. It was initiated by Julius Sterling Morton, President Grover Cleveland’s Secretary of Agriculture in 1872. In 1970, US President Nixon declared the last friday in April as Arbor Day.